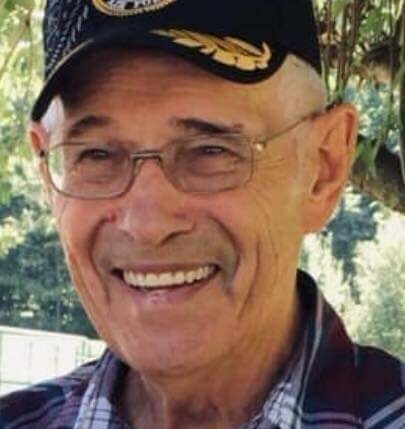 David L. Beeson, age 82 of Cayuga and formerly of Kingman passed away peacefully at home while surrounded by his loving family on Wednesday, January 30, 2019. He was born in Kingman on November 15, 1936 to the late Fay D. & Dorothy (Glascock) Beeson. David graduated from Woodland High School in Mississippi in 1955 and proudly served his country in the United States Air Force from 1955-1959. He married Karen J. Garrison-Beeson who preceded him in death in 2006 and then in 2010 married Betty (Felgenhauer) Julian, who survives. Throughout the years he worked at Olin/Flexel in Covington for 38 years, Master Guard in Veedersburg for 10 years, and helped out many farmers. He was a member of the Kingman Christian Church, Kingman Fire Department and Kingman American Legion Post 384. He enjoyed mowing his yard, playing horse shoes, going to Wallace and dancing, and spending winters in Florida with Betty. He is survived by his wife, Betty; two daughters, Ralpha Burkhart and Davanna (Tim) Beeson-Martin, both of Kingman; a step-daughter, Rebecca (Don) Julian of Cayuga; a step-son, Eric (Laura) Bell of Covington; a sister, Mary Patton of Tangier; a half-brother, Phillip (Wilma) Beeson of Ridge Farm; 11 grandchildren and 14 great grandchildren. He was preceded in death by his first wife, Karen; three brothers, Claude, Bob, and Kenny Beeson; a step sister, Peg; and a grandson, Darrick L. Beeson-Gossett. There's still time to send flowers to the Graveside Service at the Kingman Fraternal Cemetery at 11:00 AM on April 27, 2019.